If someone had no legs or was paralyzed, would you command them to stand up and walk across the room to give you a hug? Probably not, as that would be an exercise in futility. Most people would look at you like you were crazy if you kept demanding that a person with no legs or paralysis walk across the room to give you affection. 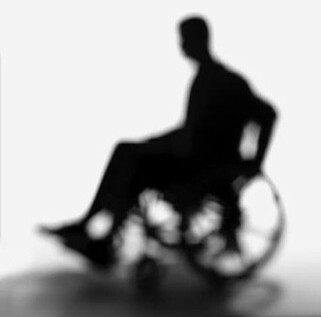 People understand physical disabilities much more than they do emotional ones. The other day a friend of mine posted on her Facebook status, "Don't lose your dignity and self respect trying to make people love and appreciate you when they just aren't capable." Very wise words. There are some people in this life who are broken emotionally. Sometimes there are even groups of people who are incapable. They don't know how to love you. They don't know how to treat you. They just aren't capable of extending to you what you so long for, because they're emotionally disabled. 1) Accept the fact that they are emotionally disabled. 2) Release your expectations of them. 3) Refuse to look to them for your dignity, self respect, love or appreciation. 4) Find those who are capable of extending healthy love and appreciation. 5) Realize that sometimes it takes a while to find healthy people. Be patient. It's so much better this way, I promise.